A few years ago information security expert Thomas Parenty warned, “You have no idea who is managing the computers with your information. You have no idea where they are. You have no idea what protections may or may not be in place to make sure your information is not stolen or disclosed or that it does not accidentally disappear…” (articles.cnn.com). Perhaps it is time to look back and determine if cloud computing has become safer and if students and educators are taking the necessary safety precautions. Students that use the Internet incessantly, which accounts for virtually all students, often get lulled into a state of complacency when using cloud computing services. Now that cloud computing has gained traction and has become the new reality, there is another reality that students and schools need to face. The cloud can be a dangerous place to be doing school work and conducting business if you don’t use it wisely. *For information on these actions and software ideas please visit dell.com. Since the cloud now offers virtually infinite online storage capacity for data, it is easy to forget that data storage can be a liability as well as an asset. Some types of information outlive its usefulness and the continued storage of it becomes dangerous. Ask yourself, do you have any files, information or past email messages that contain comments or other information that could be damaging if it got into the hands of the wrong person? At What Cost Does a Cloud Reduce Cost? The basic idea behind cloud computing is that your information is safely stored out there on the internet “somewhere.” It is made available for you to access whenever you need it, from any computer. 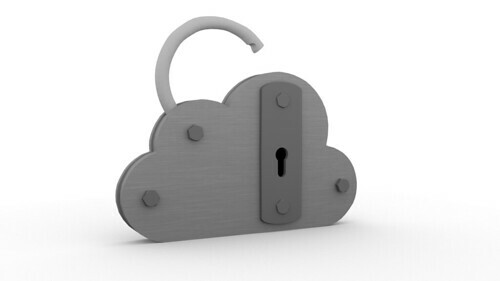 Obviously the cloud is a great idea that appeals to education and business sectors of society as a great way to reduce costs in this economy but if the information is not stored safely the loss of information can end up being much more expensive than any money that has been saved. The Cloud is fine for storing most types of pictures and music, but storing sensitive personal information is something that needs to be thought out very carefully. Students using college facilities and online amenities often times really don’t have any idea where the data is being stored or how effective the data security measures are. These are issues that students and educational providers need to be very much aware of. Doing consistent backups is a precaution that is so basic and obvious that it shouldn’t need to be mentioned and yet, many people neglect to do backups. The cold hard reality is that sometimes things on the cloud disappear into thin air. This is why religiously doing backups on a consistent basis is essential. Those are some of the questions that need to be addressed. As schools and students continue using the cloud in various types of educational settings, it is important that users become more educated. They need to take the necessary precautions. Conversely, providers need to be sure they are safeguarding sensitive information and keeping students safe. David Malmborg works with Dell. When he isn’t working he enjoys hiking, spending time with family and researching new technology. He is currently learning more about virtualization and recommends visiting www.dell.com for more information.